Featuring images by award-winning photographer Ben Rasmussen through a program funded by Project Exposure, this exhibition is designed to bring attention to the poverty relief work of Friendship Bridge. The photographs in this exhibition were selected from more than 500 images taken by Rasmussen during a one-week period as he traveled through the highlands and Lake Atitlan regions of Guatemala, chronicling the work of Friendship Bridge and featuring the women who benefit from microfinance and education programs. Over the course of the week, Rasmussen met and photographed the women and their businesses with an eye toward showing the resilience of the women at work, the harsh conditions of life, and solutions to poverty in his compelling images set against the Lake Atitlan countryside. Project Exposure, founded by professional photographer Tim Ryan, matches nonprofits with pro bono photographers, then covers expenses for the photographers to travel to the countries in which the nonprofits operate and afterwards produces exhibitions of still photographs. The program is an outgrowth of Ryan’s firsthand experiences working internationally for nonprofit organizations. “We saw a real need to help small organizations that couldn’t afford a professional photographer to document their work,” says Ryan. “For the Guatemalan field assignment, now that Ben has returned with some spectacular images, we’re getting these images in front of the public.” Ryan has partnered with VERTIGO Art Space for a two-week show and, after the exhibition closes, the show will go on the road to communities around the country where Friendship Bridge has Friendship Circles of supporters. The organization will be able to use the images on its website and in its marketing materials, too. A non-governmental organization that provides microcredit and education to Guatemalan women, Friendship Bridge helps create solutions to poverty through small loans, averaging $300 for four-to-twelve month terms, combined with lessons on business, health and self-esteem. 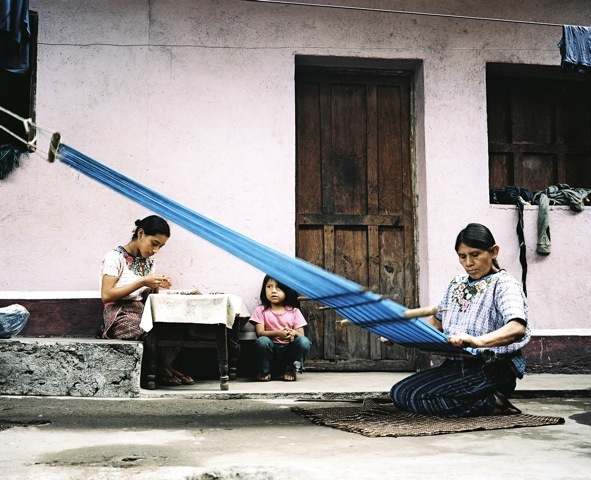 In 2011, more than 14,000 Guatemalan women have been connected with opportunities to make strides toward eliminating poverty. VERTIGO Art Space is donating the space for this exhibition. Benjamin Rasmussen is a freelance photographer based in Denver. Growing up in distant places around the globe with exposure to many cultures has given him a good eye for photographic images. “I spent my childhood with indigenous people on a Philippine island, my university years with evangelicals in northern Arkansas, and a year with the descendants of Vikings in the Faroe Islands,” he explains. Rasmussen’s work has been selected for the American Photography 26 Annual, shown at the Annenberg Space for Photography, and awarded in 2010 Pictures of the Year International. He has been chosen one of Photolucida’s 2010 Critical Mass Top 50 and included in Magenta Foundation’s Flash Forward Emerging Photographers 2011 list.